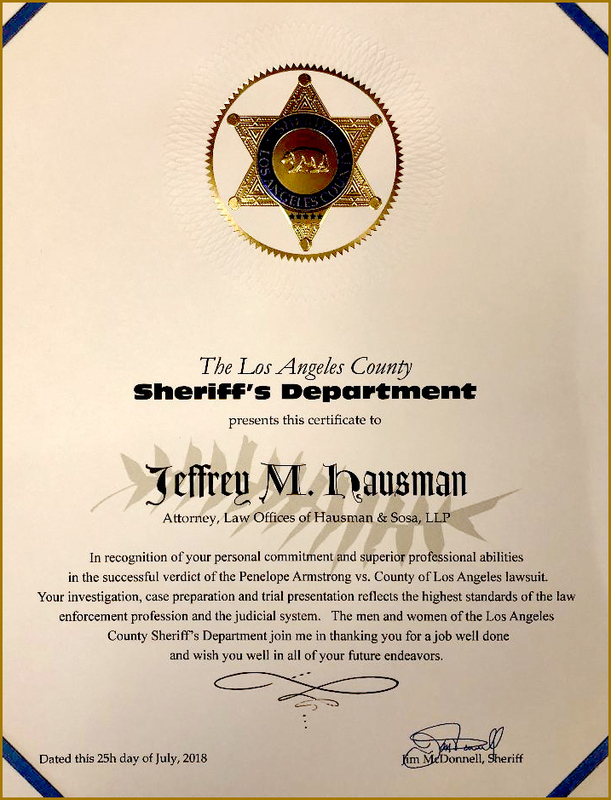 In recognition for the successful verdict of the Penelope Armstrong vs. County of Los Angeles lawsuit. County of Los Angeles Department of Public Works. PDF article attached. 8/5/2009 | By: Jeffrey Hausman, Esq. 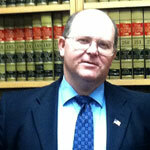 Hausman & Sosa, LLP is a civil litigation firm of highly qualified and experienced attorneys. Claims and litigation involving all types of bonds, including license and permit, payment and performance, fidelity, subdivision and miscellaneous bonds. Litigation arising from commercial, industrial and residential disputes. The firm places great emphasis on alternative dispute resolution techniques. Litigation involving business disputes and contractual disputes, contract interpretation and formation of business contracts. All members and associates possess a high level of trial skills based on firsthand courtroom experience. Members of the firm have participated in many cases which have set judicial precedent. Some of these are listed here. Copyright © Hausman & Sosa LLP. All rights reserved.